Let Us Buy Your Boat Today! We understand that being short on cash seems to come at the most inopportune times, such as during the holiday season which is quickly approaching. Unfortunately, when pockets are slim and cash is short, the first thing that you need to look at is what you need vs. what you want. Owning a boat is a luxury. If you need the money; selling your boat or selling a motorcycle, are great ways to make thousands of dollars quickly. Submit an online quote form telling us all about your boat. Our professional boat buyers with contact you with an offer. Schedule a pick-up date and time for your boat sale. Take the check and cash it! 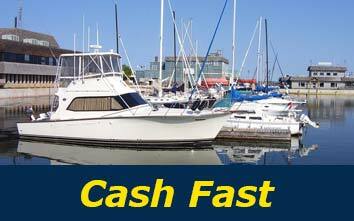 Selling a boat is simple, and also a simple way to put cash in your pockets!